A hearing evaluation can often be completed in as little as 15 minutes. You will be asked to wear a small set of foam earbuds placed gently in the ear canal. You will then be asked to quietly listen to a variety of soft tones at different frequencies. You will also be asked to repeat different words to assess your ear and brain’s ability to interpret speech. The health of your eardrum and middle ear may also be evaluated at this time to help determine if there are any medical issues of the ear that could possibly be corrected. Children over the age of 5 can typically be evaluated using the same tests. If you have a group of 10 or more individuals that would like to have a hearing screening completed on-site at your office or meeting place, this can be scheduled. 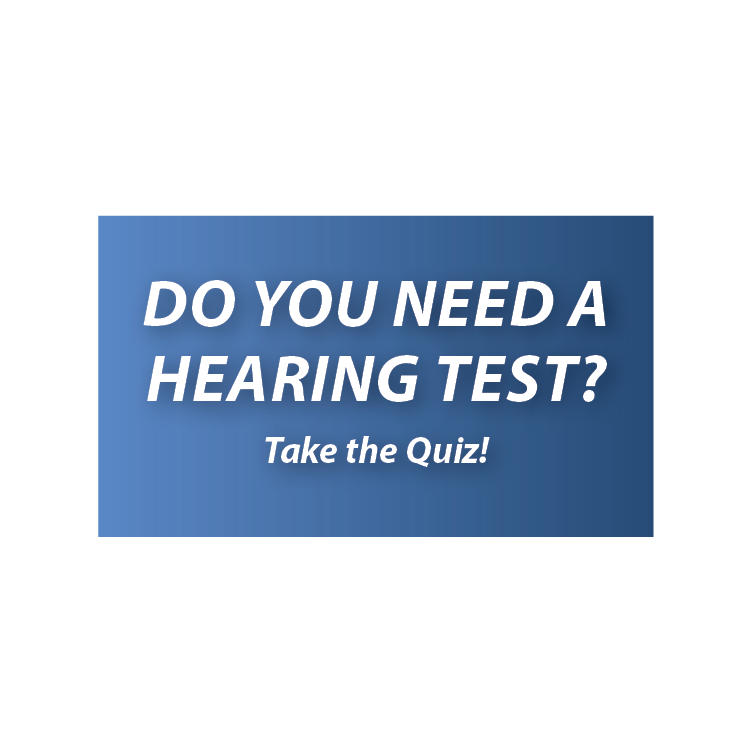 It is recommended that you have your hearing screened at least once a year, especially over the age of 40. 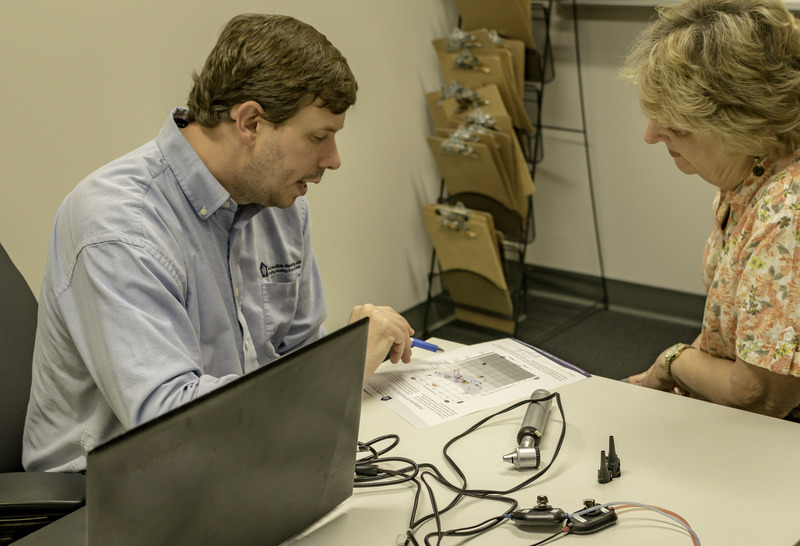 At the hearing aid fitting, you will receive the hearing aids you selected and be trained on their use and function. The hearing aids will be programmed based on a prescription that is specific to each person’s ear and hearing loss. Your Audiologist may make adjustments after you try the hearing aids to make sure the settings and fit are ideal for you. Before you leave your appointment, Dr. Griffith will thoroughly counsel you on your hearing aids. This will include, cleaning, replacing hearing aid batteries, replacing hearing aid filters and domes, and adding program features and/or Bluetooth/FM accessories associated with your hearing aids. This training can and likely will be revisited throughout the time you have your hearing aids. It is our desire that you know how to care for your hearing aids to ensure the aids last as long as possible. Live Speech Mapping is a fitting process that uses probe microphones and live real-time speech to allow the patient and their family members to immediately see and understand the benefits of hearing aids and fitting adjustments. Real-ear measures is a way to verify that your hearing aids are accurately providing the amount of amplification that your ears require. This measure will allow you and Dr. Griffith to see how much amplification your hearing aids are putting out and how much is required based on your hearing test results. Custom hearing protection is essential for people who work or play in loud noise or music. Custom earmolds are for perfect for musicians, hunters, swimmers, music enthusiasts, and persons making Bluetooth hands free cell phone calls. We keep a supply of batteries for you to purchase either in individual packets or in bulk boxes. We can also go over tips for proper storage and activation of the batteries to ensure you can get the longest possible life out of each battery purchased. In some situations, assistive devices are the more appropriate, beneficial, and cost-effective option. Assistive listening devices can also be paired or partnered with hearing aids to improve the patient’s understanding while in special or unique environments such as on the phone or listening to TV. In some cases, sound alert devices are beneficial and can provide a visual alert where an auditory signal may not be heard or recognized. Dr. Tripp Griffith can help discuss all of your options for hearing aids and or assistive listening devices at your appointment. Caption Call is a revolutionary phone for anyone with a diagnosed hearing loss. It can offer superb sound quality with amplification and customizable audio settings. Plus, it provides smooth-scrolling captions of what your callers say on a large, easy-to-read display screen to reinforce your hearing. That means you can use the phone with confidence! There is no out of pocket cost associated with Caption Call but there are a couple of requirements needed in the home to set up the phone; ask Dr. Griffith if you are a candidate today!